People often wonder whether it is worth to take advantage of lower mortgage rates and break the agreement they are already in and refinance mortgage. If you apply online for a refinance loan via Loans Geeks, you will be able to get a mortgage pre-approval, which will show you how much value of your property you could afford, as well as various purchase prices with their associated mortgage payments. 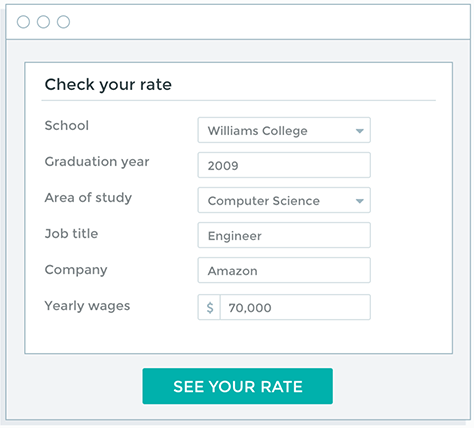 By using Loans Geeks you will also be able to get guaranteed mortgage rates for a certain period of time, which is important to have as a protection against sudden interest rates inflations. You will not be obliged to settle deal with a broker or lender who provided you with a pre-approval. It is important that you are familiar with the fees involved and with their long-term impact, so don’t be deterred by penalties. If you break down your contract to get one with lower refinance rates, it will save you considerable amount of money over time, but it will depend on the size of your current outstanding mortgage and the penalty. If you have a mortgage at a variable rate, then you will need to pay approximately three months-worth of interest in penalty, while if your rate is a fixed one, you will need to pay the penalty in the amount of the differential interest rate penalty (IRD) or interest during 3 months, whichever of the two is greater. By using refinance loan services via Loans Geeks, you will be able to cash out refinance in the amount close to 80% of your home’s worth, minus any outstanding mortgage that you have left to pay. This is an excellent way to finance some bigger investments, pay for education, medical bills or home renovation. You can access this equity by breaking your current mortgage arrangement and then taking a HELOC or extending and blending your mortgage with the lender that you already have an arrangement with. When you consider to apply to refinance home mortgage via Loans Geeks, you will be able to choose among several options how to do it. Breaking existing contract about mortgage earlier. This is advisable in the case if you can obtain best mortgage refinance rates, much lower than your existing one or if you want to access equity from your property. In that case you can simply cancel the existing mortgage contract and use Loans Geeks to make a new one. This will give you access to your property equity, which you will be able to use at your discretion. The only payments you will need to make are interest rates on the outstanding balance, but they need to be paid every month in a timely manner. You can use Loans Geeks to get matched with some of the best HELOC lenders and most competitive offers available in your area. It is also possible that your existing mortgage lender offers you to blend your current rate with the any additional sum that you would borrow and its market rate. Very rarely is this option more convenient and better than currently available refinance rates, so it is important to check the offered prices very well and compare your savings before settling with any of the available solutions. Should i refinance my mortgage and when to refinance mortgage? Can I get refinance with bad credit? Yes, you can. There are many mortgage providers and lenders who offer in-house funding, making it possible even for people with bad credit histories to secure loans in Canada, when they otherwise couldn’t. 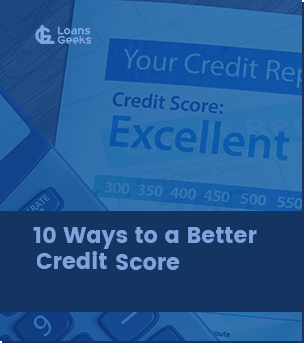 At Loans Geeks we will match you with the best loan providers in your area who can offer you convenient loan options, regardless of your credit score. What is the cost to refinance mortgage in Canada? Mortgage refinance costs will depend on the strategy you will be using to either lower your interest rate or access equity. Either of them will incur some legal costs, as the lawyers will need to alter the financing on title. However, in many cases, if the balance of your mortgage is larger than $200000, many of the mortgage refinance companies that Loans Geeks will match you with, will offer to cover those costs. If you are going to break the existing mortgage contract, you can also count on prepayment penalty charges. Can I refinance rental property in Canada? Yes you can. Even though rental property refinancing requires meeting requirements that are somewhat strict than for primary, traditional residence refinancing, it can still be beneficial. What are best mortgage refinance companies in Canada? To get matched with reputable lenders available in your area and get most competitive offers, it is best to use Loans Geeks to submit your online application. We partner with carefully screened top rated refinance lenders in Canada. The rating of the lenders is constantly monitored and updated according to our applicants’ experiences.